In a fresh act of state terrorism, Indian occupying forces martyred six more Kashmiris in the Shopian district on Sunday. 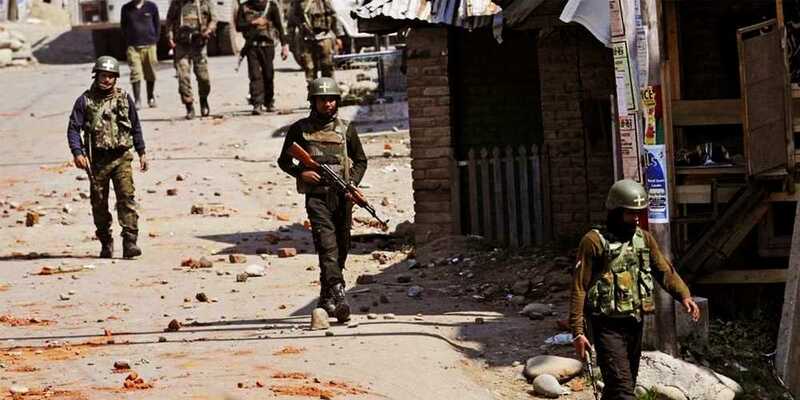 According to Kashmir Media Service, during a so-called cordon and search operation at Batagund in Kapran area of the district, the Indian 34-Rashtriya Rifles, Central Reserve Police Force and Special Operation Group fired at the Kashmiris – killing six and also destroying a house. Speaking to the media, a senior police official said that six freedom fighters were killed in the assault. Authorities initially recovered four bodies and the remaining two were found from the debris of the destroyed house. The identity of the dead is yet to be ascertained while the operation is still going on, the official added. The internet services have also been suspended in the district and other areas of the south Kashmir.